Welcome To Ultimate Carports & Metal Buildings! Just for you! Based solely on what YOU need! If you’re shopping for the Ultimate Storage Solution, you’ve come to the right place! 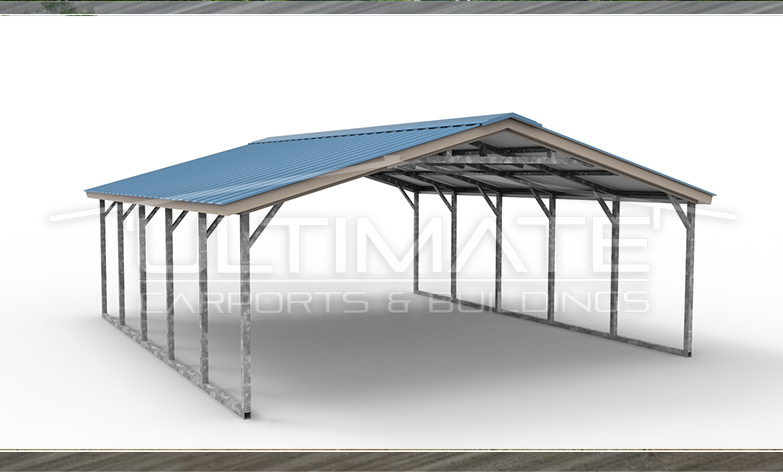 Ultimate Carports & Metal Buildings is “THE” online source for purchasing only the best metal carports, metal garages, and steel buildings. Allow our friendly staff to help you design and customize your very own Ultimate carport or that new metal garage building you’ve always wanted. All of the steel structures we offer are factory-backed with a 20 year warranty on the materials as well as an unmatched 90 day workmanship warranty. Delivery and Installation are two huge components of our business. We are proud to have some of the shortest lead times in the industry. 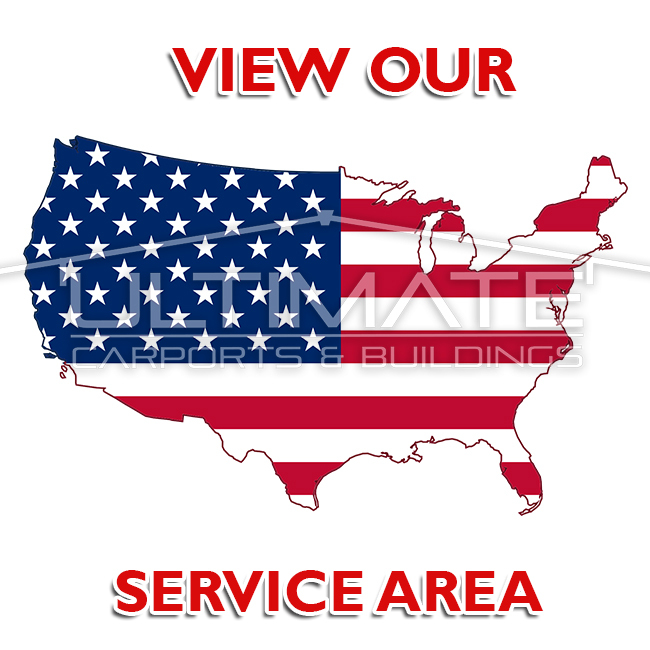 We proudly serve over half of the continental U.S. for metal garages and steel carports. View a list of the states we cover here and make sure you’re on the list! 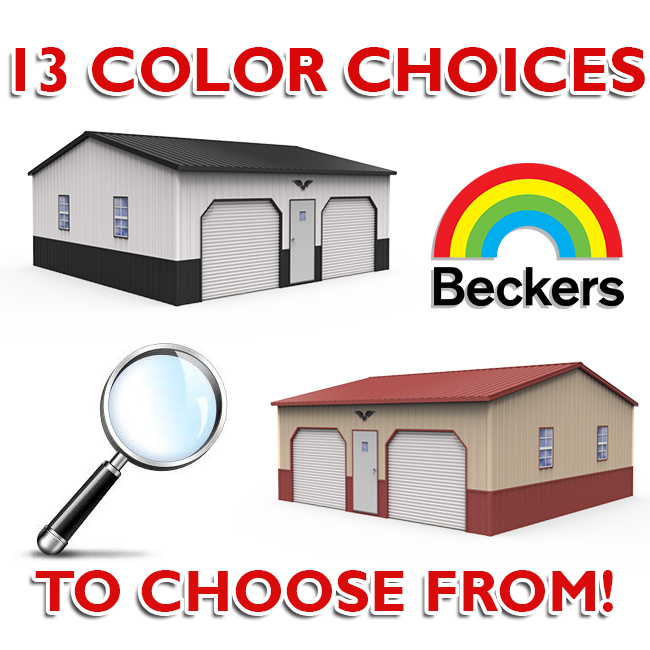 With 13 different color choices available as well as our color match packages, your new metal building comes with more custom options than ever before. 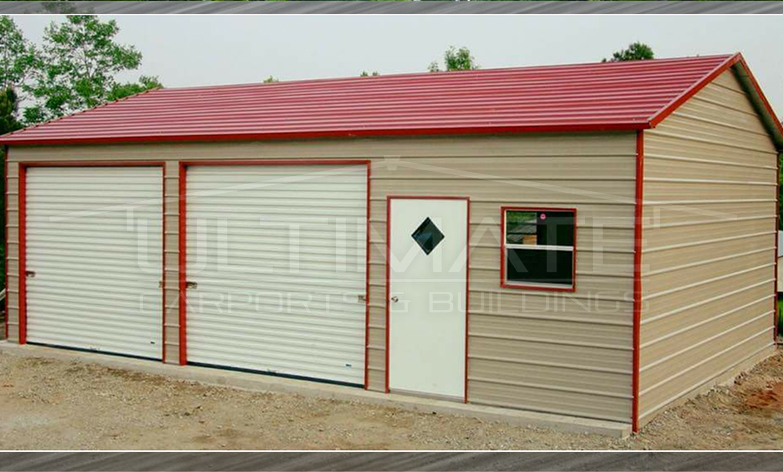 Our metal buildings are built to withstand nearly any conditions. Engineer Certified at a minimum of 35 PSF snow load and 140 MPH Wind Rating is a standard feature on all of our Ultimate Metal Buildings. Store your investments out of the weather and do it more affordably than ever! We have a huge selection of optional features as well including insulation, multiple window and door configurations, and even structural component upgrades. Generating the ultimate metal carports for the most affordable prices is a prominent goal for us. Our carports are priced very competitively especially for the high quality value that comes standard for all of our steel structures. 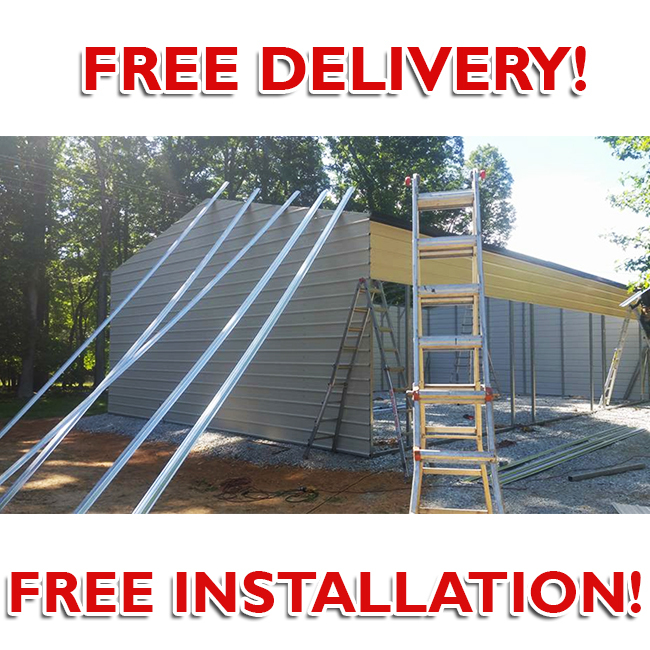 Available in three different roof styles, these metal carport packages are produced according to your custom application!